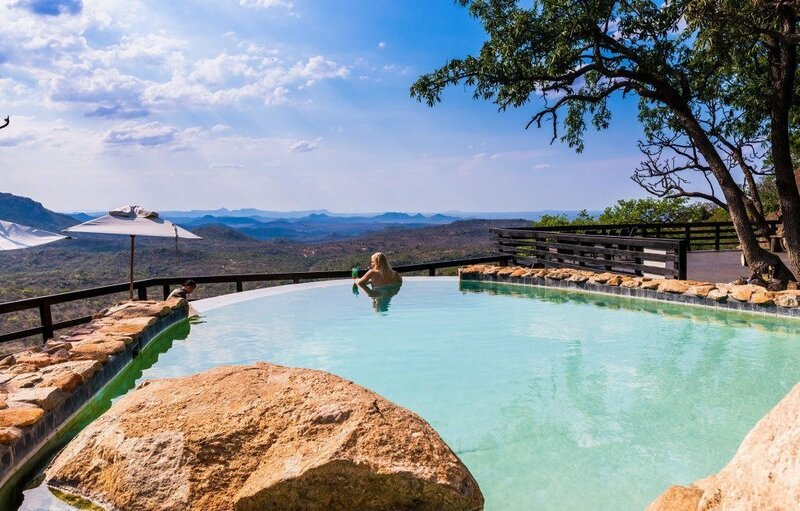 Holidays in Zambia – View tours and get a quote today! 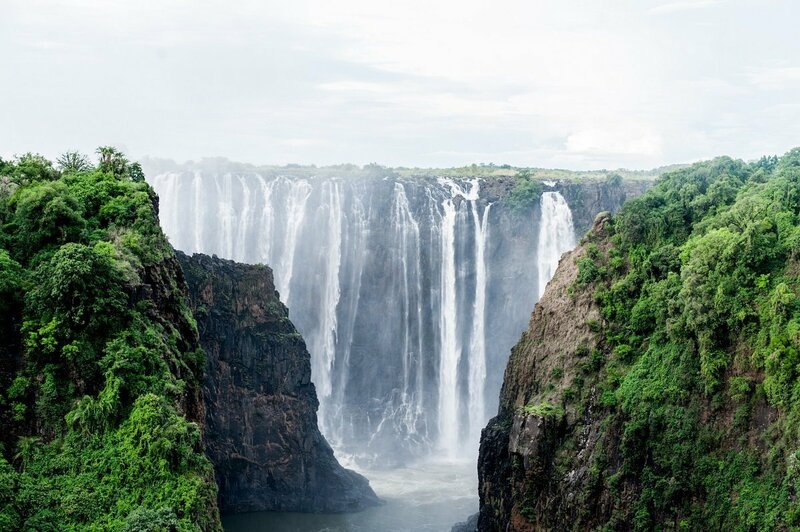 On our holidays in Zambia, you will experience outstanding scenery at the fantastic Victoria Falls, which is guaranteed to take your breath away. Our tours to Zambia and Victoria Falls also offer a host of combination options, such as a safari in South Africa or Botswana, a city break in Cape Town or a beach holiday in Mauritius. Check out all our holidays to Zambia below. If you have any questions, please call our travel consultants on 01279 704 135. Waterfall, safari and city. Discover the three highlights of southern Africa in one tour: the mighty Victoria Falls, the Chobe National Park in Botswana and the wonderful metropolis of Cape Town. First you experience South Africa’s beautiful nature and animal life from your lodge, which is close to Kruger National Park. Finish your tour with one of the world’s most spectacular waterfalls. Zambia is located in southern Africa on the border with Zimbabwe and Tanzania, among other countries. Some of Africa’s most magnificent nature experiences are to be found here. Our tours in Zambia take you to the area around Victoria Falls, where you will experience the waterfall, which is one of Zambia’s absolute must-sees. And the area surrounding the waterfall also offers numerous magnificent experiences. You decide what you want to experience. 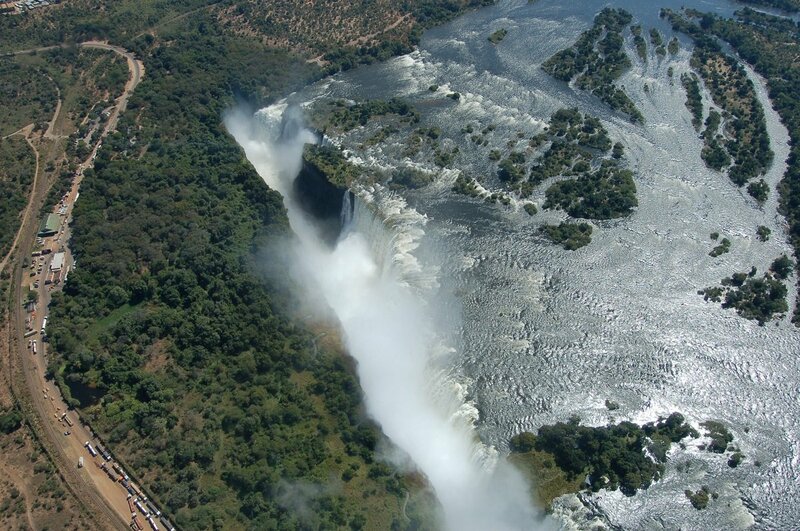 One of Zambia’s absolute highlights is the impressive Victoria Falls. 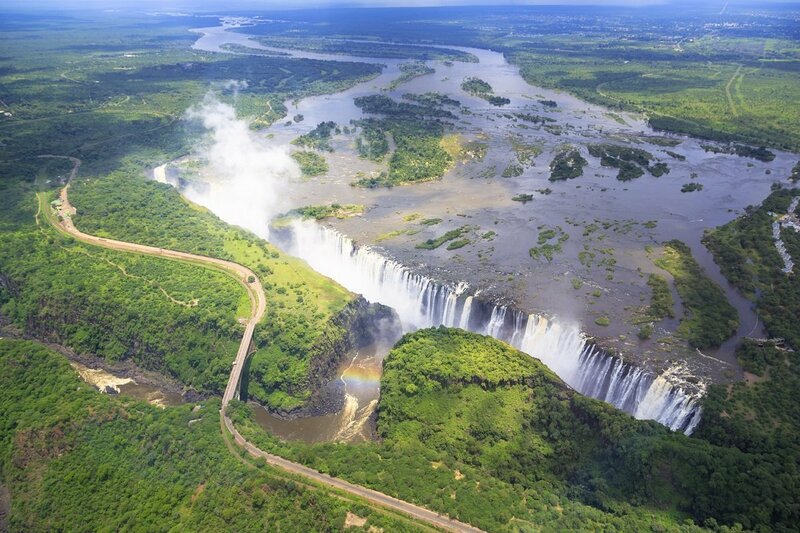 Victoria Falls is one of the largest waterfalls in the world and is located on the border of Zambia and Zimbabwe. The waterfall extends over an area of 1.7 km, and every second, more than 1,000 cubic metres of water crash down into the ravines some 100 metres below. And it is no exaggeration to say that the water spray also rises hundreds of metres into the air above the falls. It looks like a lot like smoke, hence the nickname given to it by the locals “Mosi-oa-Tunya”, which means “the smoke that thunders”. Seeing this majestic waterfall right up close, on a walk around the waterfall, for example, is an amazing experience. You can also purchase a helicopter tour over the falls, which, in our opinion, is one of the best ways to experience them. You truly experience the magnificence of the waterfall when you see it in all its glory from above. The Zambezi, the fourth longest river in Africa, flows 2,700 km through six countries, from the source in northern Zambia to the Indian Ocean. The river offers a whole host of interesting experiences. For example, you can go on a river safari on the section of the river closest to Victoria Falls, which takes you close to the islands located above the waterfall. You get a great view from here of the rainbows that the water drops from the waterfall make in the sky. If you’re lucky, you’ll see crocodiles and hippos in the water or elephants on the river bank. If you fancy being active, you can also canoe on the river, which, it has to be said, is one of the best ways to experience the river and its wildlife. You really feel at one with nature and gain an insight into how David Livingstone discovered the famous waterfall in a canoe back in 1855. Not far from Livingstone, on the banks of the Zambezi River, you’ll find Elephant Café where ten elephants live. Some of the elephants have been rescued from poachers, while others were born in captivity and cannot therefore survive in the wild. The elephants wander freely around the area and in and out of the bush as they please, but their strong attachment to their keepers means that they always come back. Here, you get to interact with the elephants by feeding them, for example. This is a wonderful experience you’ll never forget. There is also a café there where you can enjoy your lunch overlooking the Zambezi River. Our tours to Zambia are available in combination with different experiences. Read about some of the experiences below. Start your holiday by experiencing amazing South Africa, where a diversity of experiences await you. 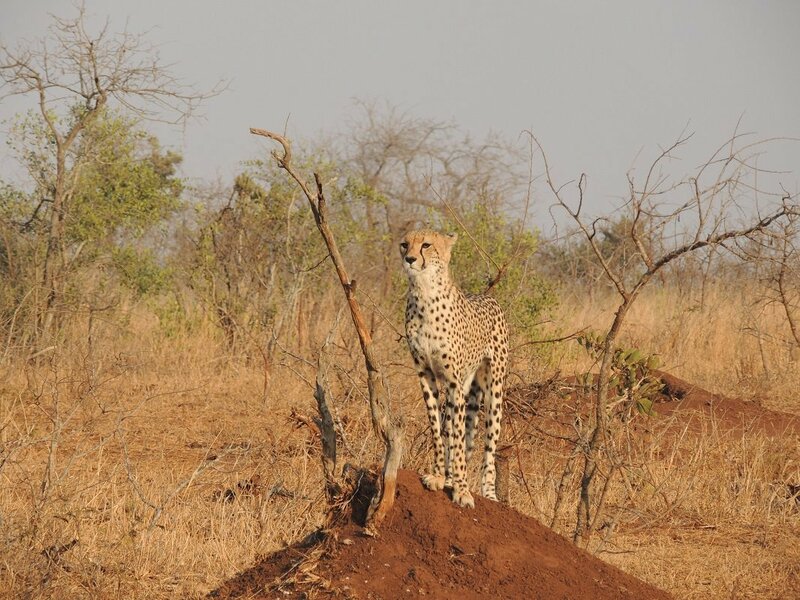 You might like to combine your tour to Zambia with a safari in Kruger National Park, South Africa’s largest national park, or the private, malaria-free game reserve, Kariega Game Reserve. If you wish to experience South Africa on your own, you can start out on a self-drive tour along the Garden Route, a beautiful stretch of countryside on the south coast of South Africa, which boasts stunning scenery and interesting wildlife. Last but not least, South Africa offers one of the world’s most interesting cities, Cape Town. 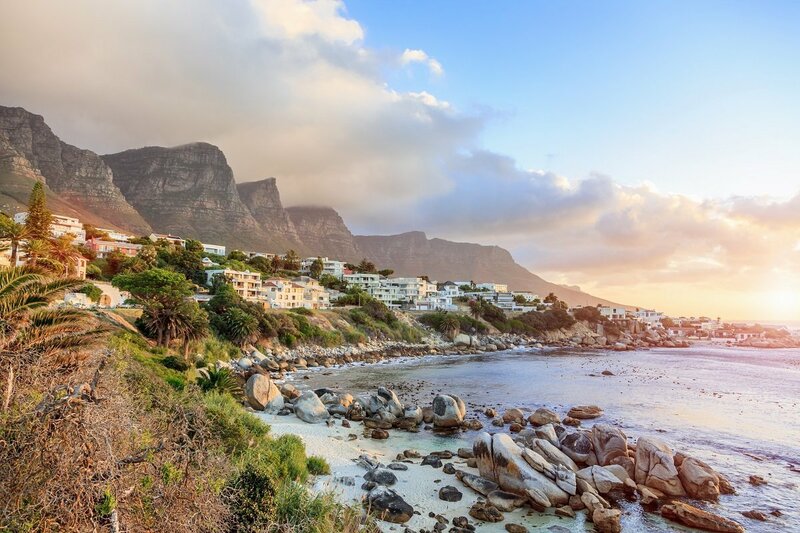 Spend your days here exploring the streets and experiencing markets, museums and the array of great restaurants, or go on one of the many tours from Cape Town to Robben Island, for example. 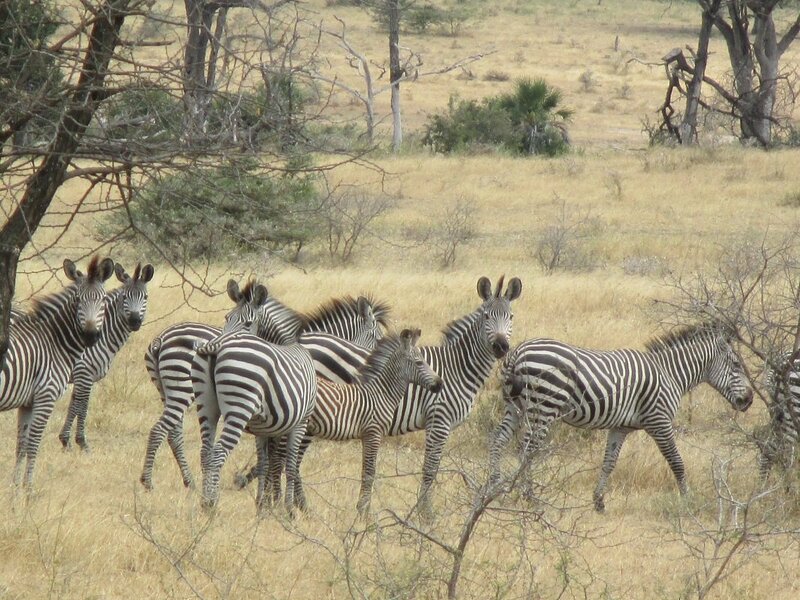 Combine Zambia with a safari in Chobe National Park in Botswana. Botswana is known for its exclusive safaris in Africa’s most unspoiled national parks. 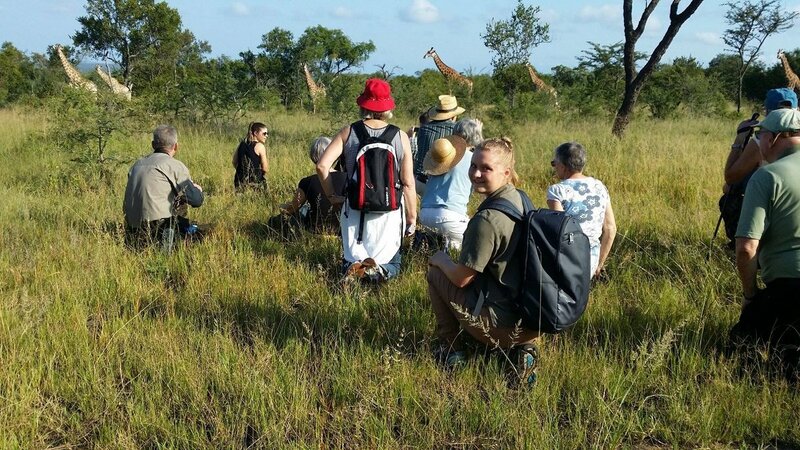 A safari in Chobe National Park is therefore a highly authentic experience, which, even in high season, offers a relatively private safari experience. 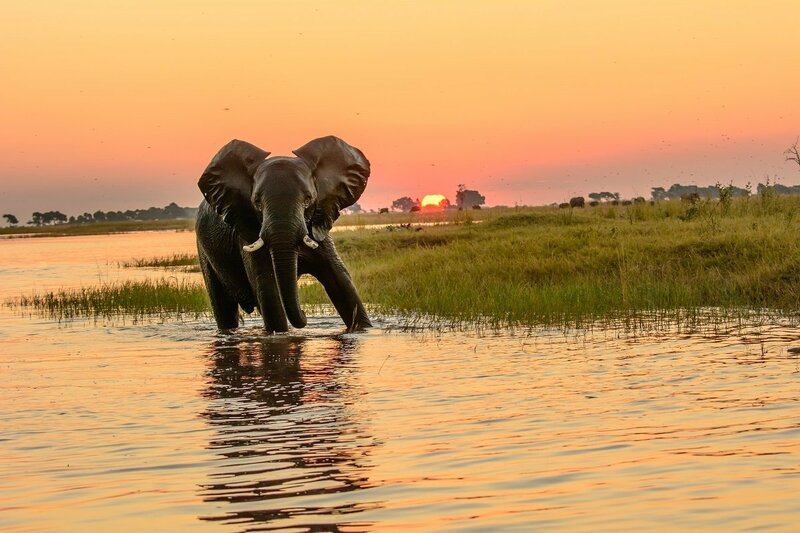 Chobe is home to the largest concentration of elephants in Africa, so you are guaranteed to experience the mighty animal right up close. But Chobe generally offers abundant wildlife, so you are in with a chance of seeing zebras, lions, wildebeest, giraffes, hippos, leopards, to name but a few. You can opt to round off your tour to Zambia with a beach holiday in exclusive Mauritius, which is located in the Indian Ocean. It goes without saying that the island offers amazing opportunities to relax, either on the beautiful sandy beaches, overlooking the crystal clear waters, or by the hotel’s pool. You can also explore Mauritius’ stunning scenery, which features mountains, lush forests, waterfalls and small lagoons. Do you have questions about Zambia? 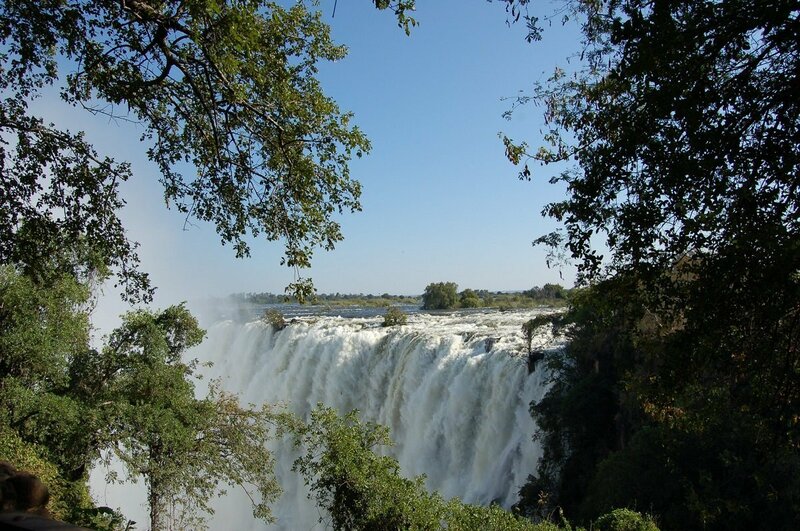 A tour to Zambia is a guarantee of amazing nature experiences. If you have any questions about Zambia, the array of different combinations or something else entirely, please feel free to contact our travel consultants, who are on hand to help you find the right tour for you. This chart displays the amount of water you can expect to experience at Victoria Falls, both rain fall and waterfall strength. You are always welcome to call or write to us. We are here to answer all your questions, listen to your wishes and provide you with honest and competent advice based on our years of expertise when it comes to travel experiences in Africa.